The week of Marvel Cinematic Universe trailers continues. Following the release of a new Captain Marvel preview on Monday, the Avengers 4 trailer was expected on Wednesday. The release was delayed in recognition of George H.W. Bush’s funeral, but with the national day of mourning over, Marvel has finally unveiled our first look at what we now know is Avengers: Endgame. 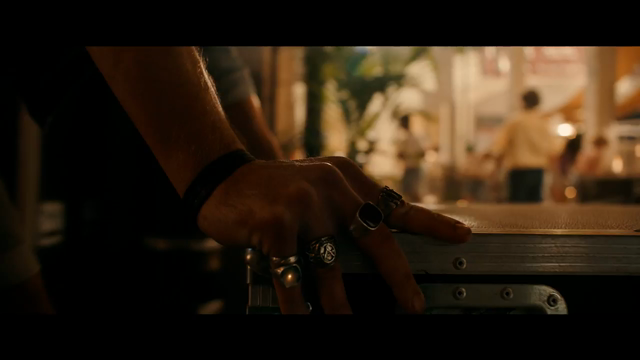 *Spoiler* As shocked audiences surely recall, Avengers: Infinity War ended with half the universe being wiped out with a snap of Thanos’ (Josh Brolin) Infinity Gauntlet-clad fingers. In the trailer, we see that Tony Stark (Robert Downey, Jr.) is drearily drifting into space without food and water, while the rest of the survivors are planning to restore order in the universe, specifically Captain America (Chris Evans), Black Widow (Scarlett Johansson), Hulk/Bruce Banner (Mark Ruffalo), Thor (Chris Hemsworth), and, yes, even Ant-Man (Paul Rudd). Hawkeye (Jeremy Renner) is back too, but as has long been speculated, he’s no longer the same S.H.I.E.L.D. agent wearing purple and carrying a bow and arrows; the preview gives us our first glimpse of his new persona, the sword-wielding Ronin. His appearance comes just as Steve Rogers says, “We lost family,” which is likely a clue as to what caused Clint Barton to create the new identity. Another clue to the plot may come in the fact that Rogers is carrying around a picture of Peggy Carter (Hayley Atwell); may a time travel-enabled reunion be in order? If you somehow had the restraint to read that without skipping ahead, you can find the trailer below. Directed once more by Anthony and Joe Russo, Endgame features just about everyone from the last decade of MCU films, including Downey Jr., Evans, Hemsworth, Ruffalo, Johansson, Chadwick Boseman (Black Panther), Tom Holland (Spider-Man), Benedict Cumberbatch (Doctor Strange), Elizabeth Olsen (Scarlet Witch), Paul Bettany (Vision), Sebastian Stan (Winter Soldier), Benedict Wong (Wong), Chris Pratt (Star-Lord), Karen Gillan (Nebula), Vin Diesel (Groot), Dave Bautista (Drax), Bradley Cooper (Rocket), and Zoe Saldana (Gamora). Even with that, there’s sure to be some surprises — hell, even in that there are surprises — so we shouldn’t expect a fully accurate cast breakdown until the film hits theaters on April 26th, 2019, a full week earlier than the previously announced May 3rd date. There’s also one more MCU preview to come this week, with the Spider-Man: Far From Home trailer expected this Saturday, December 8th.